Throughout his youth, Daniel Friedman was involved in Jewish life. By the age of sixteen, he began his synagogue career as the Hazzan Sheini (Second Cantor) for Adat Ari El in Valley Village, CA. 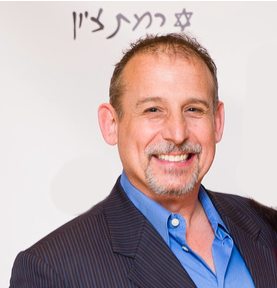 Following a sixteen-year career as a performer, where he graced the stages of Broadway and worked in commercials, television and film, he began a personal renewal of his Jewish identity, leading him to accept a position as the full-time Cantor of Temple Beth Sholom of Las Vegas, Nevada. Over the next eight years he dedicated himself to enhancing the lives of his congregants through the use of music and the dramatic arts. In conjunction with his normal responsibilities as Ramat Zion’s cantor, Cantor Friedman has produced and performed in numerous concerts with legendary Hazzanim and contemporary Jewish singer/songwriters as Theodor Bikel, Craig Taubman, Debbie Friedman and Neshama Carlebach. He has released two CDs of Jewish music, performed with the Las Vegas Philharmonic under the direction of David Itkin. Together with his collaborator D.J. Sinai, he created new innovative prayer experiences to engage his congregations he has served in prayer. His greatest production, however, is that of his three beautiful children.